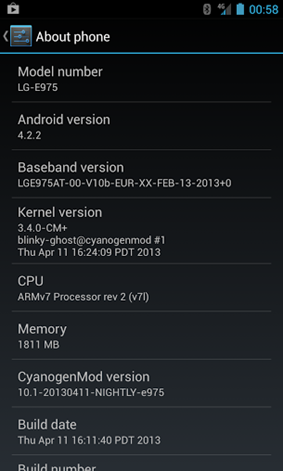 Good news for LG Optimus G users, CyanogenMod has just released the first nightly of CM 10.1 for LG Optimus G E975 smartphone. The ROM can now be downloaded and installed on your rooted devices. It will bring the latest Android 4.2.2 on LG-E975 Optimus G smartphones. 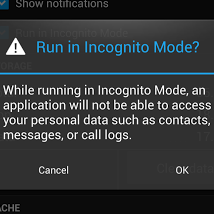 Since it is a custom Android 4.2.2 ROM, you will need to have a custom recovery installed to be able to flash it. First, you need to install a custom recovery on your device. Only then you will be able to flash custom ROMs. 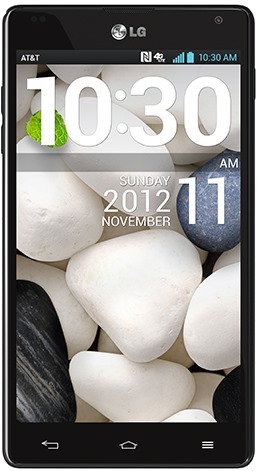 After you have installed custom recovery, you can flash CM10.1 on Optimus G device of yours. This will wipe your data so its recommended that you take a complete backup of your device before continuing with this. Please note that you will have to download and install GApps manually as it will not be included in the ROM due to copyright issues. After downloading all of the required files, follow our step by step guide on how to flash custom ROM from CWM Recovery.